Welcome educators and restorative-minded community members! In this issue I focus on restorative circles as powerful tools for creating connection, safety, respect, and voice. Circles provide a way to build relationship consistently and equitably with the support of ritual, structure, and healthy boundaries. Nothing replaces proper training and participating in circles yourself, but also remember that sharing stories in circle is something humans have been doing since there was fire. There is no harm in doing very simple, very low-risk circles simply to build connection. to allow everyone to be seen and/or heard. to create a community ritual that is safe, predictable, inclusive, and relationship-based. to provide the “ballast” of interconnection that make students and whole communities less likely to “tip over” when things get hard. to create a process for problem solving when things become challenging. The next step is to plan your circle. You can begin with this step-by-step Circle Planning Guide that I am currently developing. I am very interested in refining this guide so please let me know what you think! annie@truenatureteaching.com. Also check out the great resources below to support your process and send in your recommendations so I can share them with others. 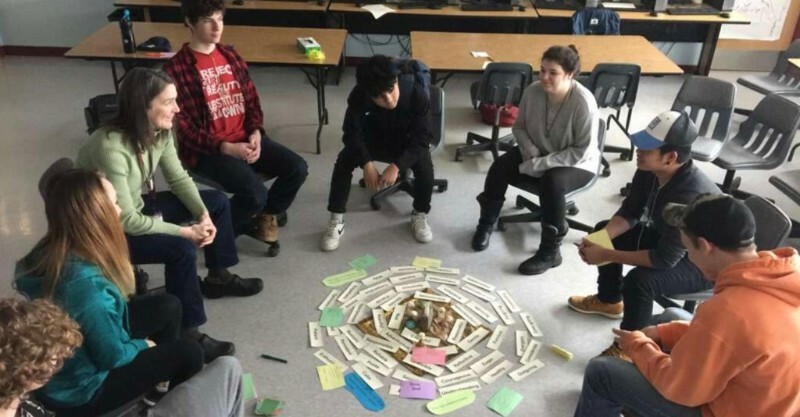 Connection Circles: How to Establish a Restorative Circle Practice One teacher's story about how circles supported his teaching. The Power of the Circle, ASCD A great article from the Educational Leadership magazine. Grounding Exercises: To teach students how to self-regulate. To develop the capacity to sit in circle students need self-regulation tools. RJ and Circles with Younger Students: This has a great interview with a pre-K teacher at the end. Elementary School Circles: This is a good overview of circles with elementary aged students. Circles in Action: First Day of Kindergarten Circle Script by Marian Mumford, Richmond Elementary, Vermont. I want to hear from you! Please contact me if you’d be willing to share the “good, bad & beautiful” of restorative work in your community or school.